We personally salvage urban and farm trees that were other wise destined to be mulch or firewood. So we know the actual story behind them and we pass it on to our customers. How do you know if the wood is “Truly Salvaged and Reclaimed”? Why use “Truly Salvaged and Reclaimed” urban woods? What is the story of the wood before it is processed? 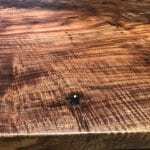 Where do live edge wood slabs for furniture come from? How are urban wood logs milled? Someone has to harvest and process the raw hardwoods that are used in all kinds of applications. Welcome to Hunski Hardwoods, a family owned and operated business that has been providing superior quality Hardwoods, Wood Slabs, Lumber, Gun stocks, Turning Blanks, Music Wood, Wood Veneer and many more hardwood products since the early 1990’s. We are located in beautiful Northern California just outside of Sacramento. All of our wood comes from old, dieing, diseased, hazardous or wind-struck trees and is removed by us in the most ECO friendly way. We make sure every part of the tree is used and doesn’t go to waste. All of our Wood Slabs, Gun stocks, Music Wood, Hardwood Lumber, Turning Wood and Veneer products were cut with the best quality in mind. 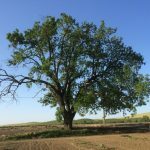 The majority of our walnut and other hardwoods comes from the greater California, Oregon and Washington areas. We are so blessed and grateful to be able to work with a part of God’s creation on a daily basis. Your source for “Truly Salvaged and Reclaimed” woods in the Sacramento Region!